In no way, shape or form is this blogworthly. 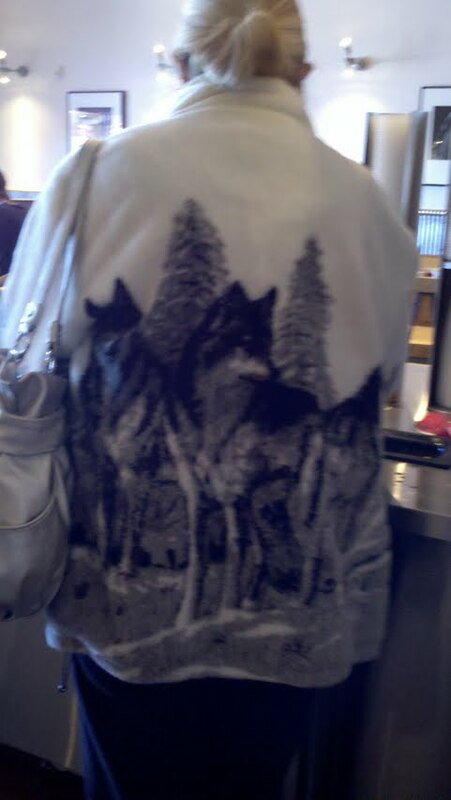 However, I couldn’t resist the uncontrollable urge to put up this picture of some lady’s fleece that I just saw at Chipotle in La Jolla. She’s my hero. This entry was posted in Fashion, Movies and tagged chipotle, NOT BLOGWORTHY, Team Jacob, Twilight, Wolf Fleece. Bookmark the permalink.